I seriously love quinoa. Now it is my mission to spread the love for quinoa to everyone and show you that there’s nothing to be intimidated by and that quinoa is really easy to prepare. Last week I posted a Greek Quinoa Salad recipe. This week it is Curried Quinoa. This recipe is so easy and it’s really delicious. If you’re worried that it’s curried and it might be too spicy for you, you can adjust the chile to as much or as little as you want. Once you try it, you’ll probably be hooked! 2. Add the onions and garlic to sauté until the onions and soft and translucent. 3. Add the chopped carrots and quinoa and let it cook until the quinoa is a little toasted, about 4-5 minutes. 4. Pour the chicken broth into the pot and bring it to a boil. 5. Reduce the heat to a low and add the curry and chile powders. Stir it in well. 6. Let is simmer for about 20-25 minutes until the quinoa is cooked and fluffy. And that’s it! You’re done. You can serve this as a side dish or you can make it heartier by adding cooked chicken breast to it like I usually do. You can also add any steamed vegetables to this after it’s cooked. I’ve added steamed broccoli before and it was really good. 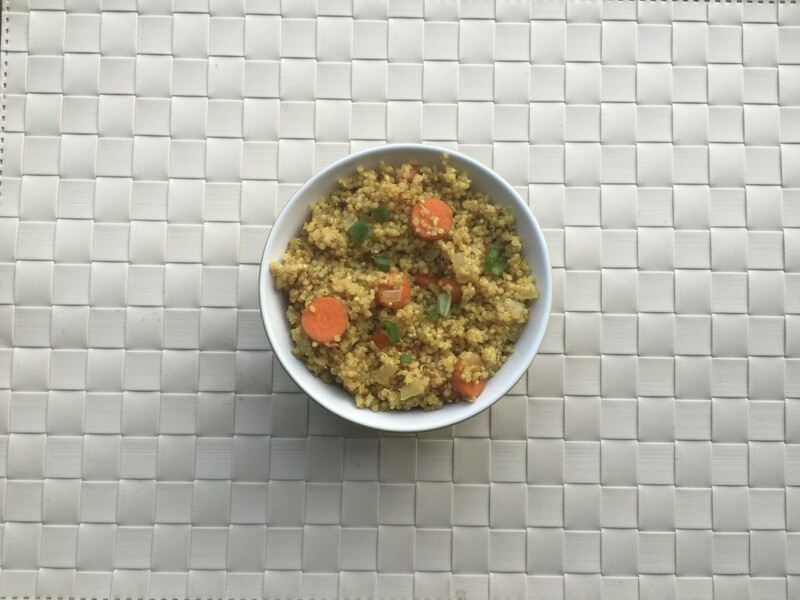 So there you have another simple and tasty quinoa dish that you can try at home for lunch or dinner. I like to make a big batch and then eat if for lunch a few days in a row. 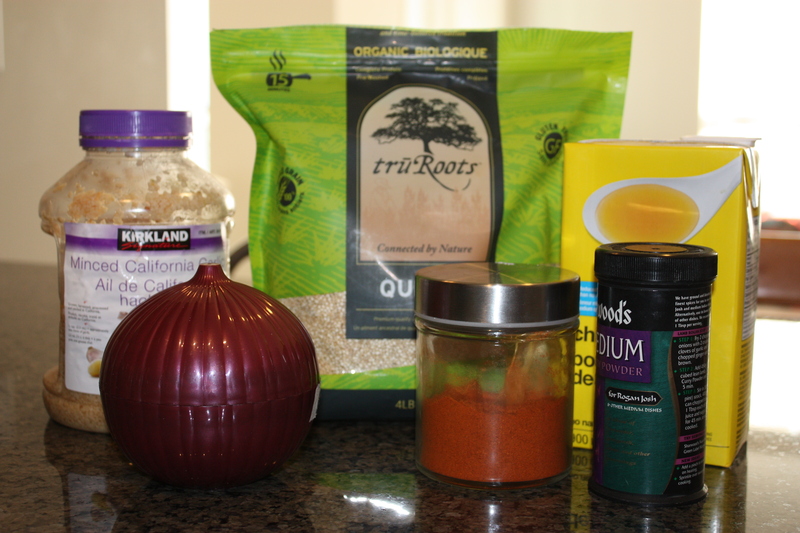 What’s your favourite quinoa recipe? I’m so glad you like it Sheliza! What a great idea to use chickpeas, I’ll try that next time I make it. It sounds easy to make. I’d like to try it with broccoli for sure. This looks great! I’ve made a shrimp curry dish that is so yummy, but fairly involved. This looks super simple!! What curry powder/paste do you use? It is really simple Heather. I use a curry powder my mom gave we called Sharwood’s Medium Curry Poweder. But I’ve also used generic curry powder from the bulk section at the grocery store and that works great too! Yum. I love curried anything and quinoa is so healthy! I can see this with shrimp too.